Filmmaker Raj Kanwar who reigned in the 90's for making hit films, love triangles in particular passed away in Singapore. 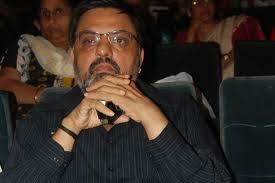 It has been reported that the filmmaker expired after he went through a kidney transplant. Kanwar's known for making films like Jeet, Laadla, Deewana, Judaai. 'Sadiyaan' was the last film he made. It released in 2010. Bollywood is mourning the death of the prolific filmmaker. Gunmen in Egypt's Sinai peninsula have kidnapped two American women tourists, Egyptian security sources say. They were travelling in a small bus with three other tourists from Saint Catherine's monastery on Mount Sinai to the Red Sea resort of Sharm el-Sheikh when it was stopped by gunmen.